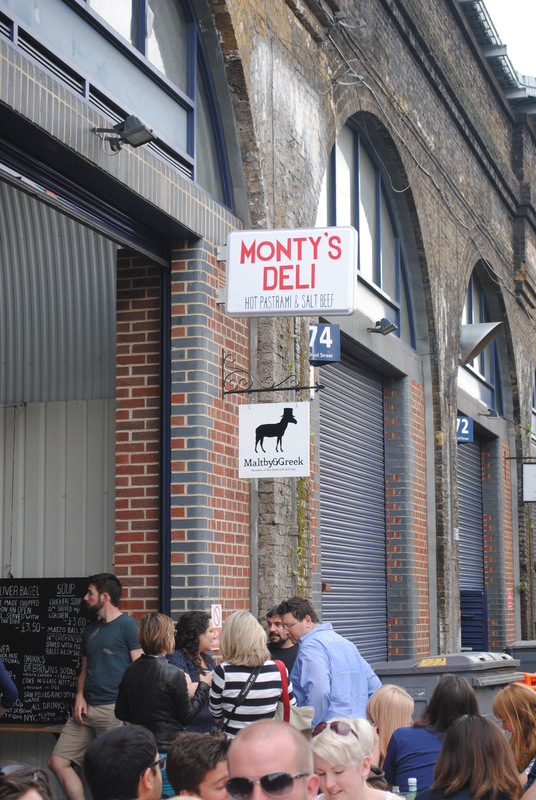 In a south London railway arch near Tower Bridge is a place called Monty’s Deli, London’s homage to the New York Jewish deli. Housed in arch 76, Monty’s Deli, similarly to its Druid St. counterparts, is nothing much to look at, but the food is something else. 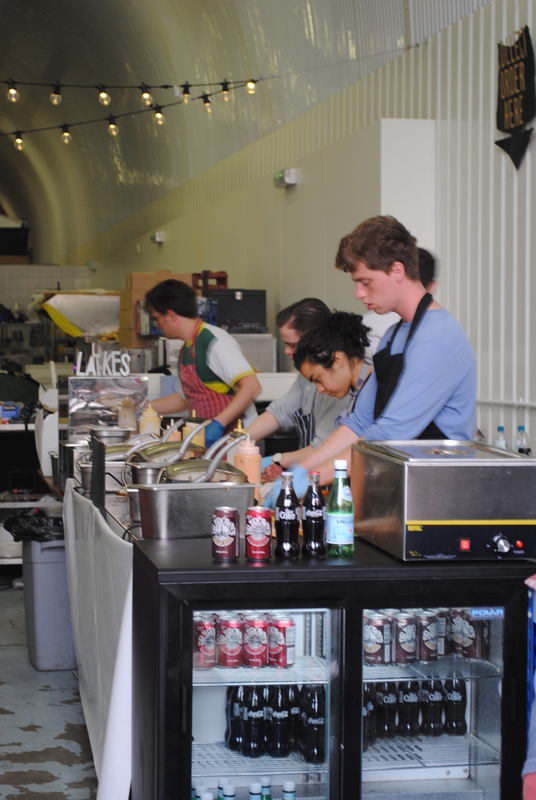 Druid Street itself is a minefield of amazing grocers, food vendors, and breweries. 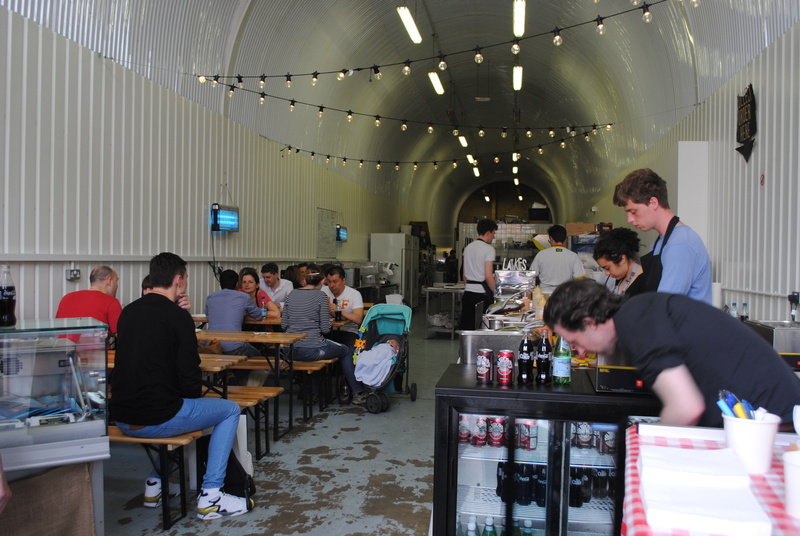 This unlikely south-east London backwater has recently become extremely popular thanks to the Maltby Street market nearby and food gods such as St. John’s Bakery selling delicious homemade treats to those foodies discerning enough to venture into the depths of South East London. 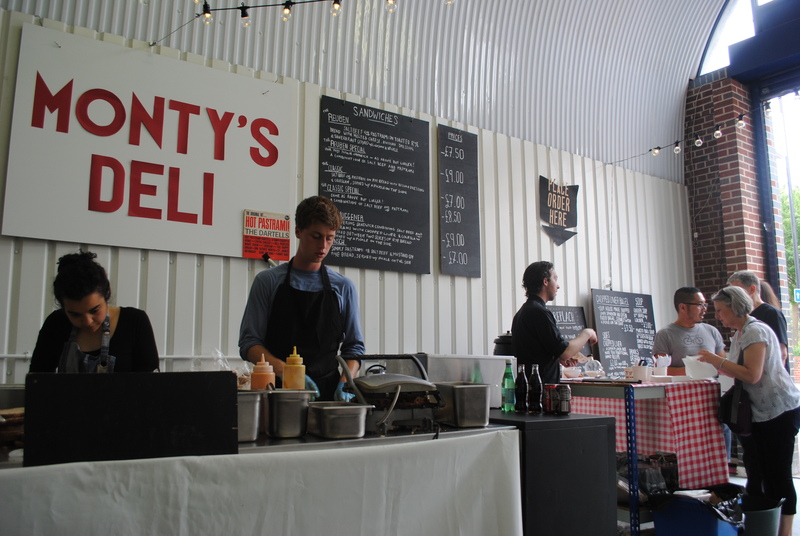 Jay Rayner recently paid tribute to Monty’s Deli in an article titled ‘Salt beef sandwiches, my dad and me,’ in which he highlights the connection between food and memory. 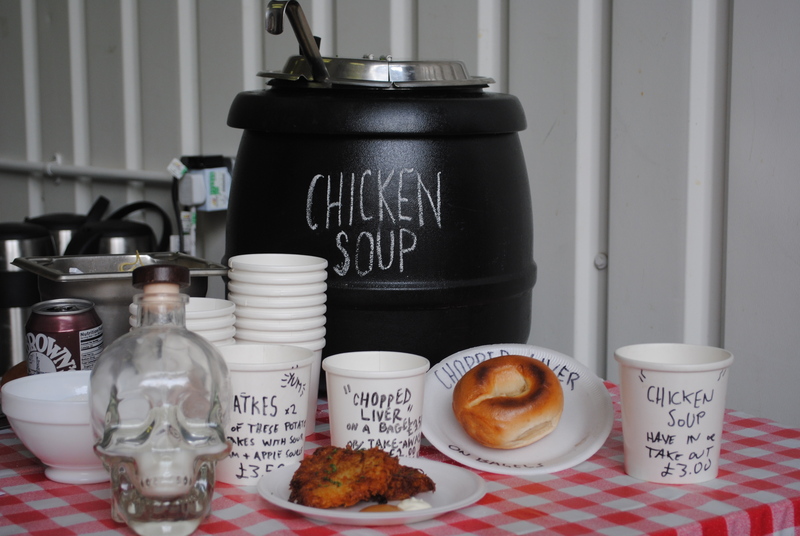 Very lovely piece which showcases the importance of food in evoking vivid memories of our childhood, of our relationships with family members who have passed away, and of who we were as people at different stages of our lives. Good stuff. 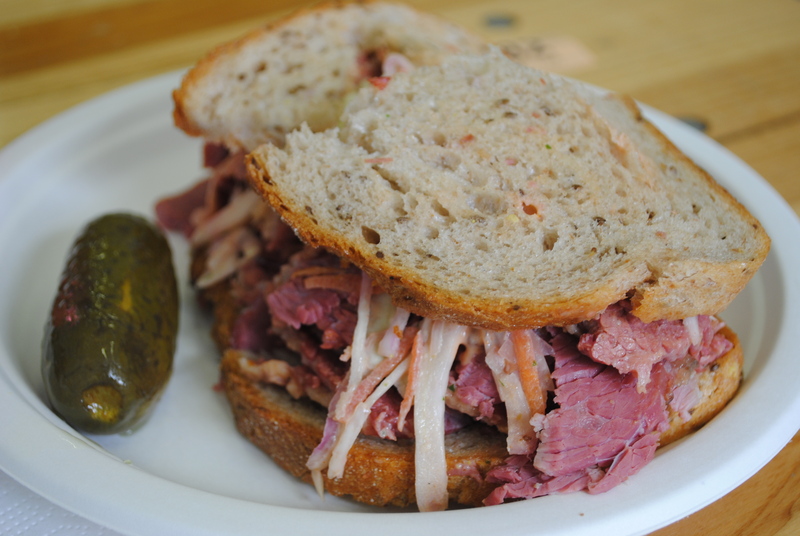 This Jewish soul food establishment serves everything from soothing chicken soup with matzo balls to crispy latkes to the incredibly delicious, famous and tender pastrami and salt beef sandwiches. 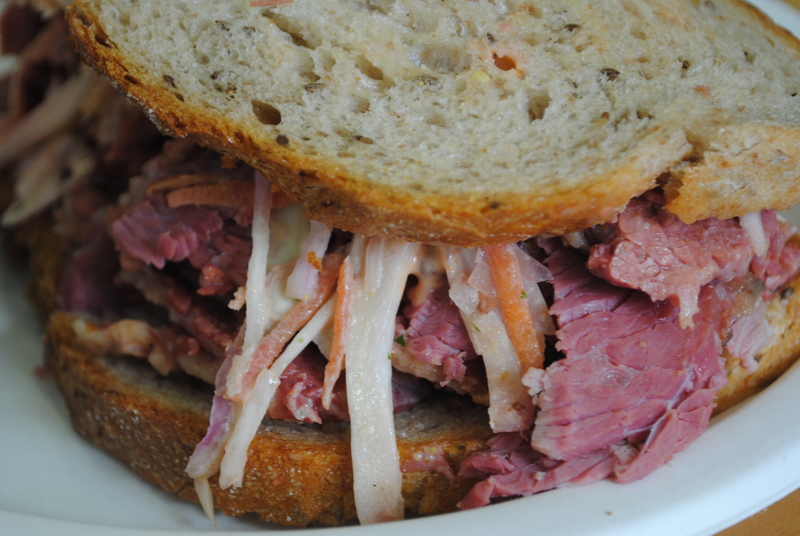 One can opt for the Reuben — salt beef or pastrami on toasted rye bread with melted cheese, Russian dressing, and sauerkraut served with coleslaw and a pickle — or a ‘Classic,’ which also comes in a super-size version. 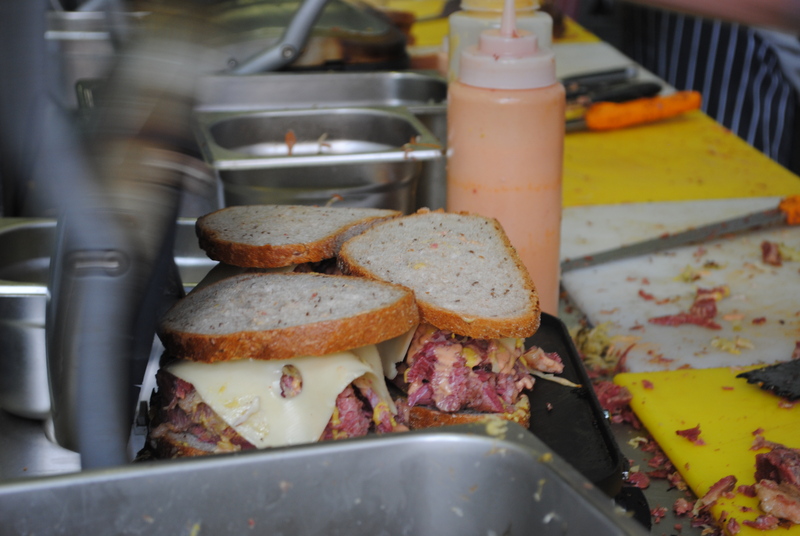 The most cleverly titled ones are the Meshuggener, with chopped liver, and the Mensch, simply pastrami or salt beef with a bit of mustard and a pickle. 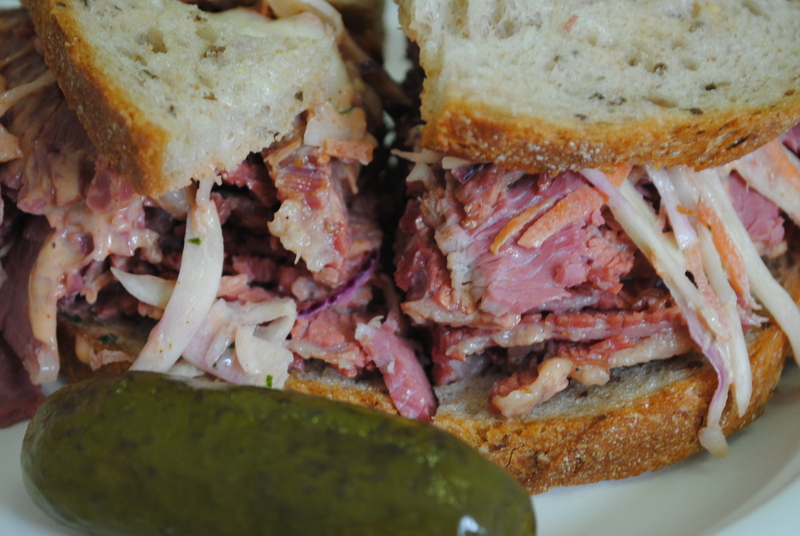 These sandwiches are no easy feat to conquer – towering thick pink slices of pastrami or salt beef (or both) shakily balancing on toasted light rye bread which is breaking at every seam under the weight of the meat, dressings, coleslaw and cheese. It’s a tricky but pleasurable experience. Did I mention Monty’s Deli imports Dr. Brown’s soda from New York? I’m glad Monty, whomever he may be, recognises the importance of eating pastrami with black cherry soda. Sometimes it’s just wrong to break with tradition. 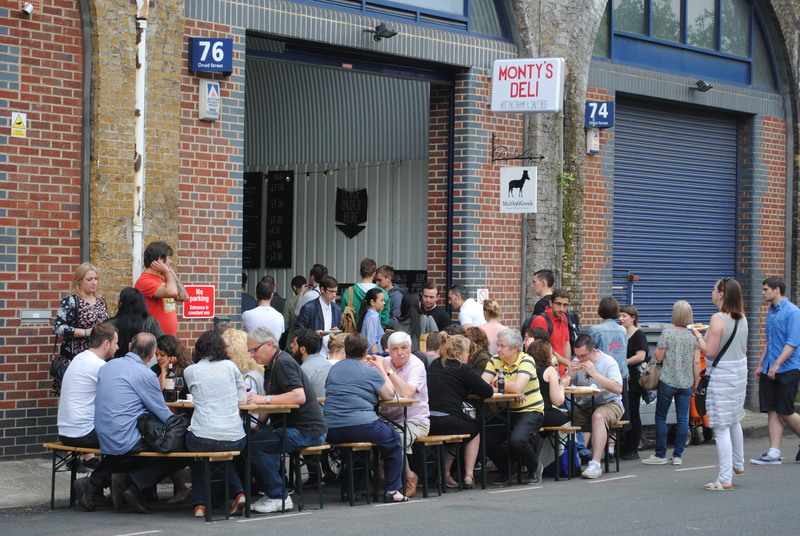 Luckily, Monty’s also provide a take away service, which is useful when the place gets mobbed. Service can be a bit slow (waited 20 minutes for one sandwich) but absolutely worth the wait. 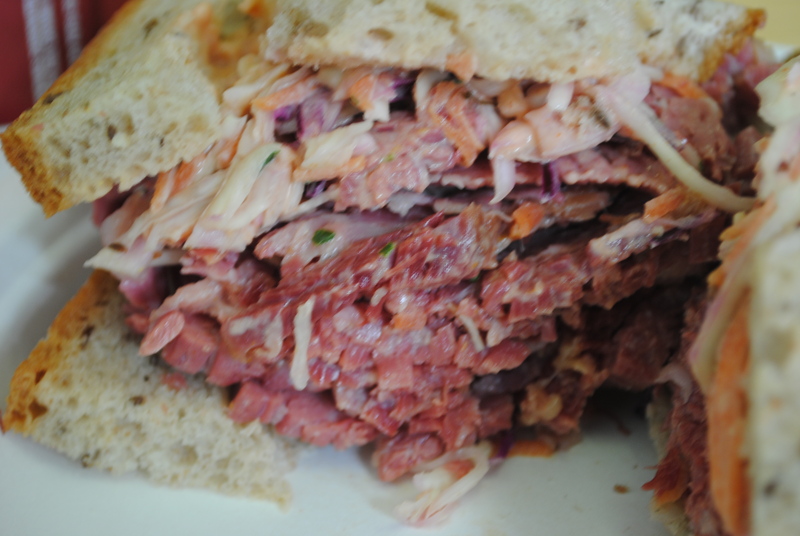 Posted in Food markets - London, Food vendors - LondonTagged deli, Druid Street, food market, food vendor, Jewish deli, London, Maltby Street, Monty's Deli, pastrami, rye bread, salt beefBookmark the permalink. It’s now on my to do list! Yum! You won’t regret it. 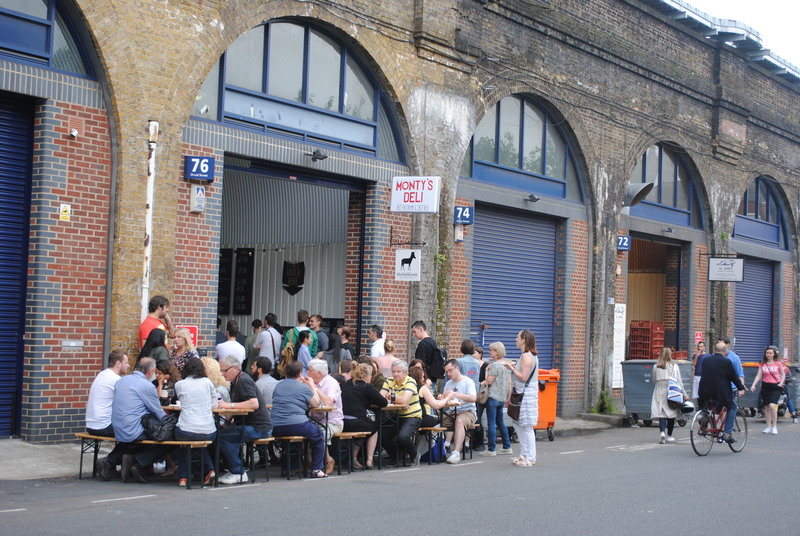 And get a doughnut from St John’s Bakery down the street afterwards for dessert!